Another Wednesday, another Simplicity challenge. This past Wednesday, the challenge was all about making a one layer card with no embellishments, if possible, using three images (different or the same) and one sentiment. Since I was out of town at the time the challenge was posted, my friend Colleen described it over the phone. This dog stamp by Magenta was the first thing that popped into my mind and it never left. So, I had to go with it. Sentiment is by Penny Black. 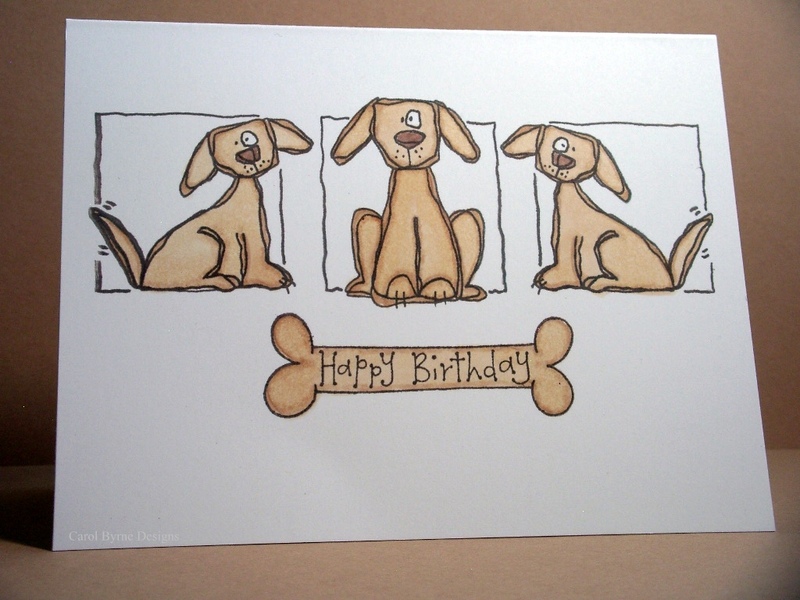 Cute doggies, cute card, i may have to get the stamps so thanks for sharing. Awwww....so cute! Love that sentiment in a bone. Great job, gf.